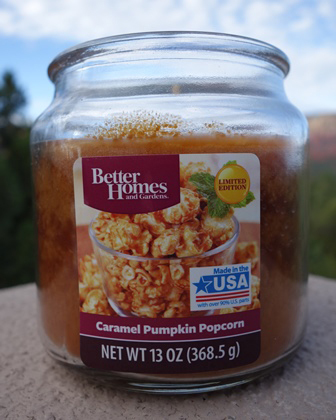 As soon as I saw Caramel Pumpkin Popcorn (a limited addition candle) at Walmart, I grabbed one to review and I’m so glad I did because I’m having a hard time finding more. I don’t know if it’s so popular it sold out or if my store just ran out? I don’t know. All I know is, Better Homes had a Country Kettle Corn scent they released years ago that is so amazing, I’ve been searching for more ever since. I’m was hoping this version (although different) will be just as good. I couldn’t find a scent description for this fragrance so I’ll do my best to describe it for you. First impression when I smelled the wax… warm bakery pumpkin with popcorn all the way. It wasn’t as sweet as many caramel popcorn scents tend to be but it was still cozy and warm. I’m hoping the caramel notes come to life once the candle was burning. Because Better Homes candles tend to be lightly scented for me, I stuck to a small bathroom to burn this candle in. Once the wick was lit, it took hours to reach a full melt pool and from then on out… the sweet aroma of a warm bakery I couldn’t quite pinpoint exactly what wafted all throughout the room. The scent didn’t really smell like popcorn. It smelled more like a pumpkin bread with teeny hints of pumpkin. I liked it, it just wasn’t was I was expecting. Strength – on a scale of 1 to 10, I would rate this candle a 5 in a small room. It wasn’t very strong so if you purchase this fragrance, I would definitely burn it in a small room to test first. This candle burned great. It burned slow, clean and even from start to finish. I enjoyed Caramel Pumpkin Popcorn but not sure enough to purchase it again. 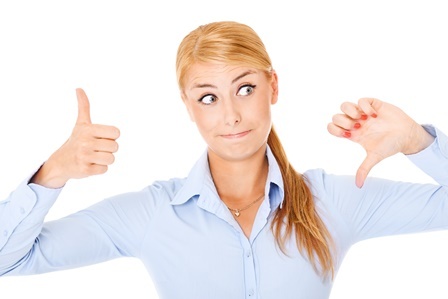 It was a nice, don’t get me wrong… it just lacked something I can’t quite pinpoint. Maybe it needed more pumpkin? Or buttery popcorn? Or maybe even some sweet caramel glaze that was definitely missing? I’m not sure. I just know it left me wanting more. The saddest part, this scent was nowhere NEAR what Country Kettle Corn smelled like… the scent I’ve been hoping to find more of. Don’t take my word for it though… should you see this candle at your local Walmart, smell one and see for yourself. You may walk away with one.